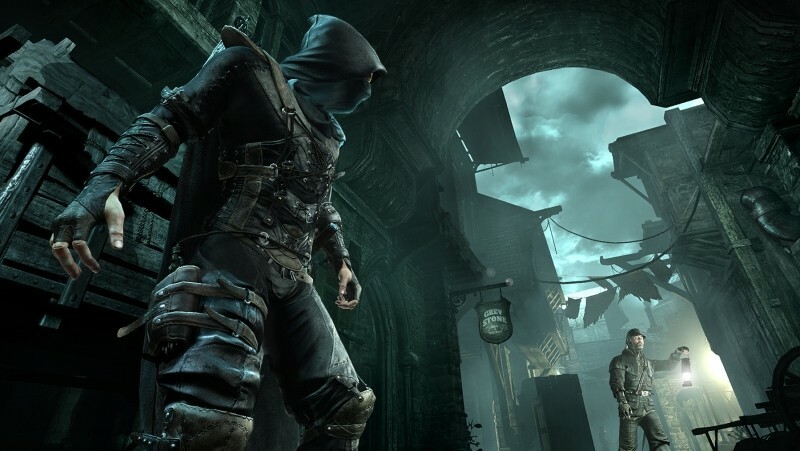 As the clock ticks over to March 18, AMD and Eidos Montreal have released a patch for Thief that enables both Mantle and TrueAudio, provided you're running the latest Catalyst beta driver. AMD claims this patch is of "tremendous benefit to a large cross-section of the gaming public", as it both boosts performance on AMD hardware and brings a better audio experience. AMD's performance testing on "common configurations" shows a performance uplift of up to 49% in certain situations, namely when an AMD FX-8350 CPU is paired with a Radeon R9 290X to run Thief at maximum settings and a resolution of 1080p. On a more typical Intel-based setup (Core i5-4670K with a Radeon R9 280X), performance gains were closer to the 5% mark. According to AMD, gamers on ultra-high-end setups - an Intel Core i7-4960X and a Radeon R9 290X - will see performance gains "in the neighborhood of 5-10%". In the coming days expect a full performance analysis of Mantle in both Thief and Battlefield 4, where we'll be able to see if AMD's claims are, in fact, correct. For gamers who want to check out Mantle and TrueAudio in Thief, you'll need to download the latest patch for the game through Steam, and grab the new Catalyst 14.3 Beta driver from our driver download section. There are a few known issues with Mantle in Thief, such as a lack of multi-GPU support, and limited performance gains in high-memory scenarios with graphics cards that have 2 GB of video memory.